Our very first wine, and like Mick’s first son, we called it/ him Joshua. Typically a blend of about 2/3rds old vine Grenache, a chunk of Mataro and a splash of Shiraz, we keep our Josh’ away from oak and release it young to showcase the kind of juicy, spicy, flavorsome wines you can do so well in the Barossa by blending heritage varieties from old vines. 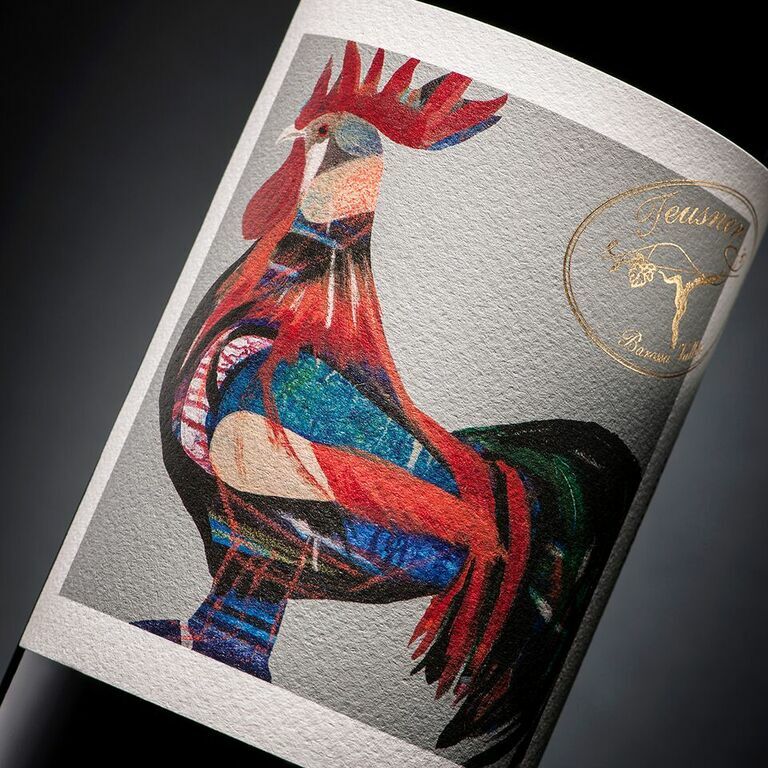 “For anyone who has ever met my business partner Mick Page and I, it would come as no surprise to learn that the idea for Teusner Wines was conceived at the pub over a few beers. Sitting at the bar, we’d been listening to a couple of old growers have a whine about the low, low prices being paid for their old vine Grenache…to the point they were going to rip out the vines and plant Chardonnay! Now whilst we’re not adverse to the odd glass of Chardonnay, planting it in the Barossa Valley is akin to drinking light beer…just not on! So it was left to Mick and I to hatch a rescue plan. Scrambling together some cash, the grapes found a new home, the vines stayed in the ground where they belong and Teusner Wines was born. That first wine, like Mick’s first son, was called Joshua. Since the first vintage (2002) was released, the recipe hasn’t changed a whole lot. Typically a blend Grenache (68%) and a chunk of Mataro (23%) from 100 year old vines at Ebenezer blended with a splash of Shiraz (9%) from 20 year old vines at Gomersal. A mix of light and dark fresh ripe berried fruits, cured meats and lifted spice on the nose sets you up for mouthful of savoury and gamey flavour in the mouth. We keep our Josh’ away from oak and release it young to showcase the kind of juicy, spicy, flavorsome Barossa reds that we like to knock back over lunch with a plate of the good gear from the local butcher in Nuriootpa. “We’ve been saying on The Winefront for some time now – years even that the best wines out of the Barossa Valley and McLaren Vale often aren’t shiraz, or at least include a major component of other varieties. We’ve been saying it because it’s true. This blend of grenache (60%), matter (30%) and Shiraz (10%) is yet another example of the beautiful reds coming out of these regions – with Shiraz as only a bit player. Teusner Joshua spends no time in oak.